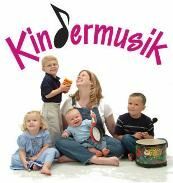 Kindermusik with Miss LENA is passionately committed to bring children and their families together in a safe, joyful, musical learning environment. Always guided by a proven methodology each age-appropriate curriculum combines music and early childhood development research, focusing on the development of the “whole child”, reaching every development process and gently integrating them. Through music, age-appropriate activities, instruments and props children and their families develop and experience bonds of communication; love and just plain have fun. With all tools provided, music and learning becomes a significant part of the home environment, as well as, the love of learning in a class. Classes meet once a week, including evening and Saturday options. Extends the activities to the Home. Fosters learning and growth in all areas of development, prepares children for future learning environments; educates parents about their child’s development. Enhances self-esteem; builds attention and self-control. Builds socialization skills, develops friendships; provides opportunity for contact with other families. Provides high-quality and developmentally appropriate classroom experience.Convenient; fits into busy lifestyle. Miss Lena grew up in Russia where she finished musical college. She participated in musical activities all through her early years, playing piano and singing in choirs. When Lena moved to New York she earned a Bachelor Degree in Early Childhood Education and worked as a classroom lead teacher in a private preschool for over eight years. Lena is an energetic and creative person that enjoys teaching. Lena also has a young daughter who has been taking kindermusik classes since she was four months old. “It was such a pleasure to see my daughter enjoy, build great memories and grow with kindermusik that it was only a natural transition for me to become a kindermusik instructor myself”. Lena hopes to help all of her parents to build wonderful memories and have great experiences with their children at kindermusik. 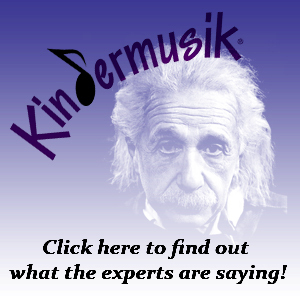 Kindermusik is about kids, parents, and teachers—coming together and having a great time! It’s about helping you grow closer to your child. Enriching her environment and her development. Giving him a lifelong love of music and a foundation for learning.